Analog Heart. Digital Soul. Multi-award winning brand strategist. Team builder. Love Advertising, Single Malts, Beer and Books. As the Chief Integration Officer of The Leo Burnett Group, South Asia, operationalizing and scaling up Leo Burnett's unique methodology, PLAY, which puts context at the heart of creating content is my key role. The larger mandate is to integrate offerings across Leo Burnett, Orchard, Indigo Digital, Arc Worldwide, Prodigious within the Leo Burnett Group for the South Asia market as well as Publicis.Communications India which includes agencies like Publicis Ambience, Publicis Capital, Publicis Beehive and MSL Group. I am also a key bridge between Publicis Communications and Publicis.Sapient, responsible for bringing the best of Publicis.Sapient to all Publicis Communications clients. In my 19 years across the hospitality, space selling, advertising, entertainment and digital industries, I have built two heavily awarded digital agencies from the ground up. I have managed teams ranging from 5 to 100 cross functional specialists, launched and built brands both in the offline and online mediums and have been instrumental in inspiring work that has driven business for my clients and won accolades at national and international award festivals for my agencies. Across my experiences, I have learnt that Data can yield rich behavior insights. Content should be inspired by Culture. Context should drive Conversations. Technology should give Creativity wings to fly. I love working with people and building teams that are excellence driven. I am a strong believer in the fact that brands today don’t need a digital strategy. They need a strategy for a digital world. This calls for a fundamentally new approach to brand building that also impacts business strategy. 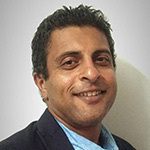 Yateesh is a multi-faceted professional with 29 years of diverse experience in marketing & communications, human resources and operations with a focus on voice of consumer and digital transformation. As an early convert to ‘digital thinking’ Yateesh had set up an entrepreneurial Internet venture as far back as 2000 in the area of city-specific content & commerce. He has spent time at Rediff.com looking at opportunities for monetizing content and increasing adoption of E-commerce. In 2009 he launched iTerm, India’s first online life insurance while at Aegon Religare Life Insurance and was responsible for Ecommerce at the company till he left in March 2015 set up his own consultancy The Grey Space. 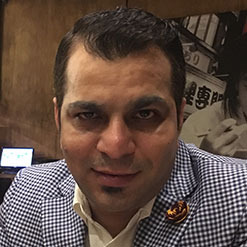 Yateesh is an active member of industry digital & marketing forums such as IAMAI, Ad:Tech; iMedia and DMAI. Yateesh is a voracious reader; a home chef and has myriad interests. He lives in Mumbai with his wife and son. 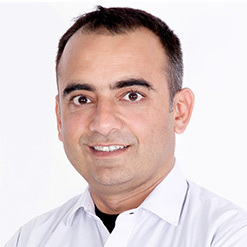 As Co-Founder and CEO, Dippak Khurana is responsible for driving the vision and strategy of Vserv & VMAX™. With an illustrious career that spans over two decades, he has spearheaded the Internet and mobile revolution in India. Pawan holds an MBA degree in Marketing from Institute of Finance and International Management, Bangalore. Jeff is the CEO and Founder of OneDrop, a simple, powerful and convenient mobile platform for managing diabetes, born from his own experience as a newly diagnosed Type 1 LADA (September 2013). His desire to bring the quantified self movement, internet of things, big data and mobile computing to people with diabetes in a simple, fully integrated solution led him to create One Drop - which won “Best Design” at the LAUNCH 2015 Festival. 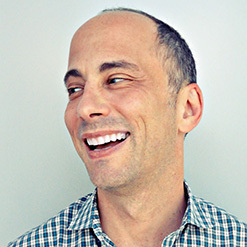 A digital visionary and serial entrepreneur, Jeff previously co-founded and served as CEO and chairman of Razorfish, the the world’s largest digital marketing solutions firm. Jeff was also CEO and founder of Dachis Group, a big-data social analytics and consulting firm, acquired by Sprinklr in 2014. Jeff has a MA from NYU, and a double Liberal Arts degree from SUNY Purchase. Jeff is an entrepreneur, blogger, author, marketer and speaker and has been working with personal brands and business to optimize their online personal and company brands with emerging technologies, content, social media technologies and digital marketing. He believes in “Inspire and educate people to win at business and life in a digital world. Jeff has spent most of his career involved with information technologies, telecommunications and the web. According to Kred.com, jeffbullas.com is ranked #4 as a global marketing “Influencer”. 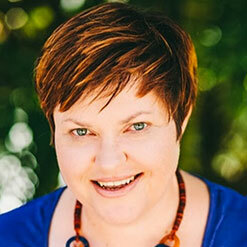 Zoe is a highly respected and proficient International Social Media Speaker, Trainer and Consultant. Specialising in many areas but focusing on one of the many areas people do not cover when they first set out in Social Media, their Social Media Strategy. She works with many companies, brands and Fortune 500 companies to make sure that they have a strategy and know how to implement high profile campaigns to get the maximum from their Social Media activities. Zoe's passion is to share the message about Social Media and how it can be used in business. She have travelled to many places to speak at many events including Poland (Zoe was commissioned by Seldia EU to attend a Roundtable Conference to speak to European Parliament and Government), Amsterdam (The Social Media Strategies Summit), India (Socialathon 2014 for Digital Market Asia), Ireland, Madrid training a 1.2 billion company, Montenegro to speak for NATO, and Malaysia KL. She has recently appeared on ITV This Morning as a Social Media Expert to share opinion on "When Social Media goes wrong!”.And BBC World News Global TV! Zoe has launched ZC Social Media nearly 4 years ago after initially getting into social media in her role as mortgage broker/IFA. ZC Social Media is a Social Media Agency where they help companies with their execution and provide bespoke management packages for their social media requirements. It also provide bespoke inhouse training and programmes. Donna Moritz is a digital content strategist with a passion for visual storytelling, and the founder of Socially Sorted. She helps brands leverage the power of visual storytelling and content strategy in their business, and is a highly sought-after speaker and trainer in the marketing and tourism industries internationally. 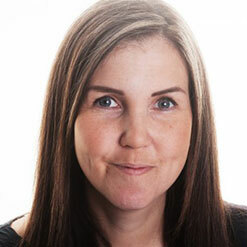 Donna's blog, Socially Sorted, was winner of Best Business Blog in Australia 2014, and a Top 10 Social Media Blog for Social Media Examiner, 2015-2017 and she is consistently listed among the top 50 social media influencers worldwide. Her content has been featured in publications such as Forbes and Entrepreneur Online and she is a regular contributor and trainer for Social Media Examiner. To that end, the consultancy aims to address and offer solutions across the entire spectrum of the marketing strategy from segmentation and its sizing, opportunity mapping, marketing mix and brand identity development to bringing it all alive through an actionable marketing plan. Enabling organisations to build a self sustaining approach towards brand building through capability building workshops would also be on offer. "The stand out element that Brand Eagle would offer is accountability. Partnering brands to monitor performance and effectiveness of strategy through periodic reviews would ensure that the strategy and plans actually deliver a positive impact on brands and businesses. 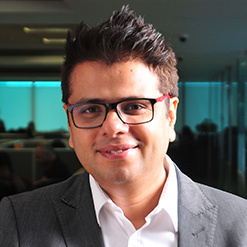 Gaurav is the Chief Operating Officer of Viacom18 Digital Ventures – a division set-up to drive the consumer facing digital initiatives for the company. He has recently launched VOOT (Vaicom18’s Over-The-Top Video platform) - which in a very short time has become one of frontrunners in the Indian online video space. Gaurav is also responsible for the overall digital strategy for the company including licensing and partnerships in this space. Prior to this role, Gaurav was the Group Chief Operating Officer of IndiaCast Media Distribution - a strategic joint venture between TV18 and Viacom18 created to monetize all channel & content assets across media, platforms and geographies. At IndiaCast, his mandate was to maximize both revenues and reach for content and services from the group - across both the domestic and overseas markets. 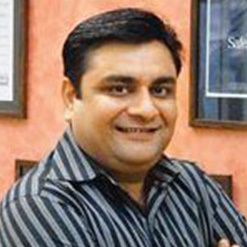 He used to oversee the entire domestic distribution of Viacom18 and TV18 channels. In addition, he was responsible for building out the entire international business for the group (including Ad-sales, Distribution & Licensing) and expanding the footprint of the channels/content to 135 countries around the globe. Gaurav joined the group in March 2010 as Viacom 18’s Chief Commercial Officer & Head of International Business. In Jan, 2011 he took over as the COO of Sun18 and in May, 2012 he moved to IndiaCast. In August, 2015, he moved into his current role at Viacom18. An alumnus of NMIMS, Gaurav started his career in advertising with Madison Media handling the Coca-Cola India business. In his next role at Turner International, he handled the research and planning portfolio for all Turner India brands. He then moved to STAR India, where he handled & led various portfolios – the last being Head of Commercial & Business Planning for the network. He then moved on to set up NDTV Imagine - as a founder member & shareholder - where he was responsible for various business & corporate functions as the Executive Vice President - Business Operations. Gaurav has the unique distinction of having operationally managed virtually every aspect of the media & entertainment business over his 18-year career and has an in- depth understanding of both traditional & digital media. Anupriya Acharya, CEO, Publicis Media India is an eminent media professional with 22+ years of experience in media agencies across India and Singapore. 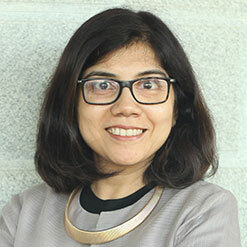 Prior to this, she has also held positions of Group CEO of ZenithOptimedia, CEO-Aegis Media Singapore, Leader-Team Unilever, South Asia at Mindshare and President – The Media Edge, India. 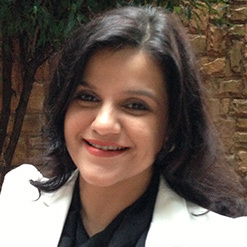 Anupriya is also the Jury member on key media industry awards in India and APAC, and speaks frequently at key industry events. 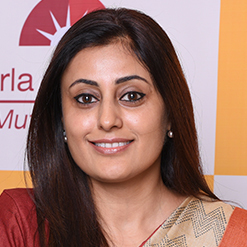 She has consistently featured in Brand Equity’s list of top Media professionals in Indian Media and Impact’s list of ’50 most influential women’. She is also an Independent Director on the Board of DB Corp Ltd.
A Post Graduate in Chemistry from IIT - Roorkee, married and mother to a 19 year old son, her interests are adventure trips, photography and interior designing. 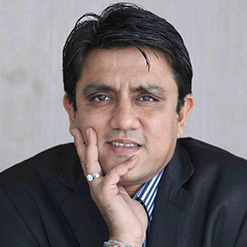 Manoj Kumar is the Managing Director /Area General Manager, India Sub Continent for GlaxoSmithKline Consumer Healthcare. He has joined the company in June, 2015. In his current role as the commercial head of the Area, his prime responsibility is to drive growth and engagement in India - a priority market in the Asia, Middle East and Africa Region and the second largest market (outside of US) for the company. 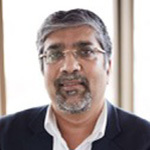 During his 29 year long career, he has also worked with Unilever, Gillette and Proctor & Gamble, across Sales, Marketing and General Management roles in markets including India, Asia, Africa, Europe, Australia and New Zealand. In his last assignment he was the Managing Director / Vice President with Proctor & Gamble, Australia & New Zealand. 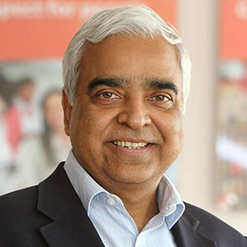 Manoj started his career with Unilever and moved to Gillette in 1991. During his stint there, he worked across various businesses like Gillette Grooming Blades, Batteries and Oral Care. In 2001, he became the Regional Business Director for Battery and then for Grooming & Personal Care. Within a few years he moved to UK and then post the acquisition of Gillette by P& G, to Switzerland as Marketing Director for Central Eastern Europe, Middle East and Africa (CEEMEA). In 2009 he moved into General Management role as Managing Director, Nigeria & Vice President, West Africa, responsible for Nigeria and 22 other West/ Central African countries. 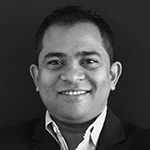 In 2013, Manoj moved to Sydney as Managing Director/Vice President, Australia & New Zealand. 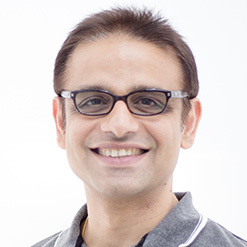 Manoj is an alumnus of IIM Ahmedabad. At Birla Sun Life AMC, Molly leads the Marketing & Digital practices. She has over 20 years of work experience, of which 18 years have been with the Mutual Fund industry. Molly has spearheaded other verticals during the course of her career mainly- Customer Excellence, Service Delivery, & Branch Operations where she managed the organization's Customer Experience Strategy. Molly was recently appointed by Association of Mutual Funds of India (AMFI) as Member of the Financial Literacy Core Committee (FLCC). In addition to contributing to the Financial Literacy mandate of AMFI, at the FLCC, Molly leads the Digital Team within the committee as a specific responsibility. A Masters in Economics and a post-graduate from NMIMS, Mumbai, Molly is also a Green Belt level practitioner of Six Sigma. 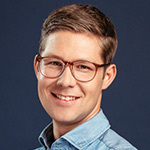 He is responsible for managing the agency’s full-service digital offerings for existing clients as well as bringing in new business to the agency. With over fifteen years of media experience, Vinod is responsible for setting up the largest mobile practice at GroupM in 2008 and winning media awards in the mobile category across all major award functions – IDMA, Emvies, DMA, IAMAI, Goa Fest, Campaign India, MMA, Yahoo Big Chair & Festival Of Media. Prior to moving to Mindshare South Asia, Vinod was the Chief Executive Officer of Madhouse India (a joint venture between WPP and Madhouse China) and played a crucial role in setting up India’s largest mobile advertising and marketing company. He worked closely with over 100 clients like Intel, Idea, VW, Panasonic, Titan, Britannia, Google, LIC, Siemens, ITC, Flipkart, Nestle, Make My Trip, Hungama.com and media conglomerates such as GroupM, OMG, Percept & Ignitee. He is also an empanelled member of the Mobile Marketing Association (MMA) and plays a pivotal role in MMA's South Asian operations. He has been a regular speaker and conference chair at several domestic and international industry events, giving his point of view and expert opinions on the role of mobile in the marketing value chain. Himanshu Agarwal is a Brand & Digital Marketer with experience over 6 years, With Reliance Mutual Fund he is instrumental in setting the digital Strategy for the group, building Digital Brand Leadership and Authority on Digital & Social Channels through technology, Analytics, & excellent customer experience to achieve aggressive growth targets for the brand. He was also recently conferred with the “young achiever award’ 2017 by ABP news. 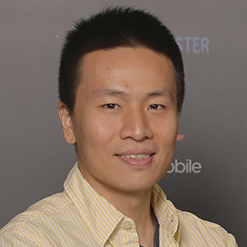 Morden Chen is the General Manager of Cheetah Mobile's Asia Pacific and global performance business. During his tenure, he has successfully established Cheetah Mobile's ad sales and marketing teams as an industry leading mobile advertising team. Prior to Cheetah Mobile, Morden is armed with over 10 years of experience across product management, sales, and marketing. He has held key positions in Baidu, Microsoft and Taiwanese-based company, PChome-Skype and has successfully launched multiple products and services across Asia. Pankaj S Parihar, is in the Marketing communication field, for over 15 years, with 12 years in Digital Marketing. He is a multi award winner true-blue digital native, who heads digital center of excellence & digital transformation at GCPL & Godrej Group. Pankaj leads complete Digital marketing & transformation lifecycle of various brands at GCPL & Godrej group. 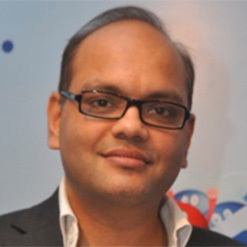 Before joining Godrej group, Pankaj was VP and Business head – at OmnicomMediaGroup India, and was also business lead for Unilever India digital business & other key clients. In past, He has worked with marketing communications giants like Ogilvy & Mather, Quasar (WPP Digital), Times of India Group. He considers himself as an “Hyperadopter”, is a petrol head, and a food & fitness enthusiast. Uma Talreja was recently appointed as the Chief Digital Officer at Raymond Ltd after having served a role as the head of strategy for the group. She is responsible for digital transformation of the 91 year old iconic brand and the organisation in India. Her passion for consumer data and using it to drive better business decisions puts her at the heart of a large customer centricity drive in the organisation. Her role encompasses CRM and loyalty, analytics, digital marketing, e-commerce and devising the future omni channel strategy and consumer experiences for the organisation. Uma has head marketing departments for the largest retailers in India for the last two decades including Aditya Birla Retail Ltd, Shoppers Stop, Tata- Trent amongst others. 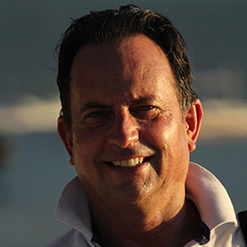 Florian is Vice President Telecom Partnerships and Operations at zeotap. zeotap is the world's leading data platform for on-boarding telecom operator data and making it easily and safely accessible to advertisers in India through its Joint Venture, mozeo. Florian is a driven entrepreneur specialised in helping large enterprises thrive on groundbreaking partnerships. In his capacity at zeotap he has won and overseen the integration with over half a dozen major telecoms around the world within just 1,5 years. He is both a true German in the way he works and a true global citizen in his mindset. Before zeotap he gained ample experience in handling high-complexity projects at Porsche Consulting and IBM in Germany. Now he takes over 100 flights per year to do just that across 4 different continents. 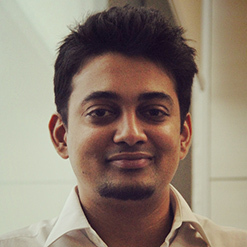 Rohan Noronha is a Sr. Client Partner at Twitter with 2 decades of experience across media planning & buying, sales strategy and ad sales. Prior to Twitter, he has worked at Komli Media, GroupM, UM7 (MENA), Carat India and Dainik Bhaskar. Hemal heads the Advertising, Digital and Branding division at Bajaj Electricals. With over 15 year of work experience in advertising and branding, Hemal has been with Bajaj Electricals Ltd. since 2012. Hemal Vadera started his career in advertising as client servicing professional, his last stint was with R K SWAMY BBDO as GM- Client servicing. He has handled and serviced clients across various categories like Mercedes- Benz, VISA international, IndusInd Bank, Piaggio India, SBI, etc.